On January 27, 2017 President Donald Trump issued an executive order to temporarily ban citizens of seven predominantly Muslim nations from entering the United States. The Armenian Youth Federation – Western United States is driven to action due to its profound concern over the Administration’s order to pose new, extreme obstacles in the path of refugees and asylum seekers. We strongly condemn this order and call all to action against any effort to wrongly qualify refugees solely based on their faith or country of origin. As descendants of Armenian immigrants who were fortunate enough to have been admitted into this country — many from the very Middle Eastern nations targeted by this ban — we believe that everyone should have the right to the same opportunities. We are always ready to meet the needs of communities facing injustice during these critical times, and as the sweeping effects of the executive order became clearer, this past week saw both individual and collaborative actions taken by our organization. The AYF’s local Montebello and Pasadena chapters are collaborating to host a community-wide immigration forum on Thursday, February 9 at 8PM with the Armenian Revolutionary Federation “Shant” Student Association, ANCA-WR, and other Armenian sister-organizations. The forum will offer clear, tangible resources to the community and will feature a legal panel, discussion, and on-site legal assistance, taking place at the Pasadena Armenian Center (2242 East Foothill Boulevard). In addition, the AYF Central Executive and the Armenian Bar Association have partnered to create a task force in order to provide legal research and resources for members of our community affected by the ban. An online form will be released through which affected individuals will have the opportunity to submit legal questions and concerns. Any and all volunteers with knowledge of immigration law or civil rights law are asked to join us in our efforts. In collaboration with other affected communities, AYF members joined a crowdsourcing effort to translate existing legal resources into Eastern and Western Armenian. Some members have also volunteered at the Los Angeles International Airport (LAX) to offer both translation assistance to volunteer lawyers and relief to those waiting hours for detained relatives. In a nation built by immigrants on indigenous lands, we believe that this blanket suspension targeted toward a specific group of people based solely upon their religion or nation of origin is unjust and contradictory to the fundamental American ideals of personal and religious freedoms that are guaranteed under our democratic and constitutional rule of law. We stand with not only Armenians from the region being affected, but all targeted peoples who want nothing more than to guarantee their freedom. Typically, one would say, “I had no idea what to expect” when embarking on such a unique experience such as the one Youth Corps offers; however, I can’t lie, I thought I had an idea of what I was getting myself into. 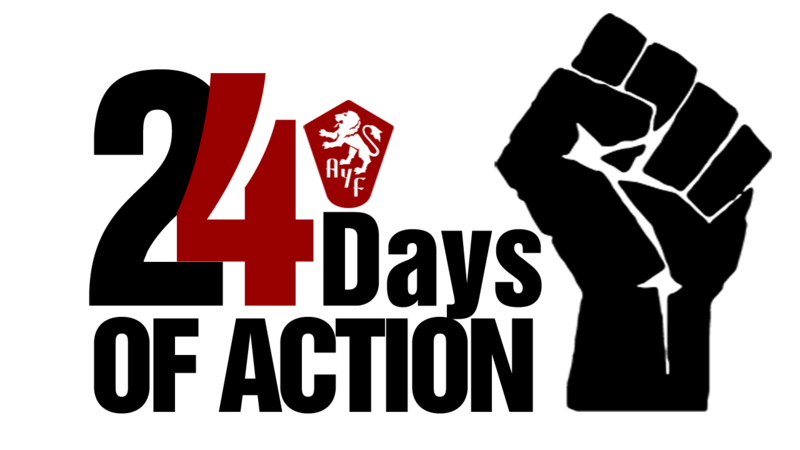 Having years of experience with kids being a Homenetmen scout for 7 years and participating in multiple AYF camp trips, I thought I was a veteran when it came to running a day camp for the children of Armenia. I was wrong, in the best way possible. Day one of jampar in Proshyan has commenced, and I have already learned so much, in such little time. These kids, in one word, are rejuvenating. So full of life and energy, so eager to learn and play, so excited to meet new people and make friends — qualities so rarely found amongst adolescent children nowadays. They are not interested in the latest gadget or the coolest game application, but rather enjoy the simple joys of playing Steal the Bacon or ‘futbol’. On the first day, kids were already learning all our names quicker than we could learn theirs, and volunteering to help us get the younger kids in a straight line for flag ceremony. During our morning exercise, virtually all hands were flung up into the air when the kids were asked if any of them had an exercise they wanted to share and demonstrate for everybody. They would all soulfully sing ‘Mer Hayrenik’ and ‘Mshag Panvor’ without reluctance during song practice. These demonstrated qualities of eager participation and helpfulness may seem expected or standard, but if you have had any experience with young children at all, you would know they are hard to come by in this day and age. These young kids show so much promise, it’s inspiring. My most treasured moment from the first day was meeting a young lady named Aida, who is 13 years old. She has the most advanced English speaking skills from the group, which she told me she learned on her own during her free time. She has successfully taught all three of her younger siblings English to the best of her abilities. Throughout the entire day she continued to speak to me in English, regardless of the fact that I was responding in Armenian. She later confessed that she wished to have conversations with me only in English to further advance her English speaking skills. This kind of ambition and hard work was absolutely astonishing for me. It wasn’t that I expected the kids of Proshyan to be lazy or incompetent; I expected them to be energetic and clever, yet they’ve exceeded all my expectations. I thought I had come here to help give these children life and knowledge, yet that’s exactly what they’ve given me. They’ve given me life in showing me that our Armenian youth shows great promise and potential, and knowledge that our culture’s future lies in the great hands of these aspirational, enthusiastic, and intelligent young adults. 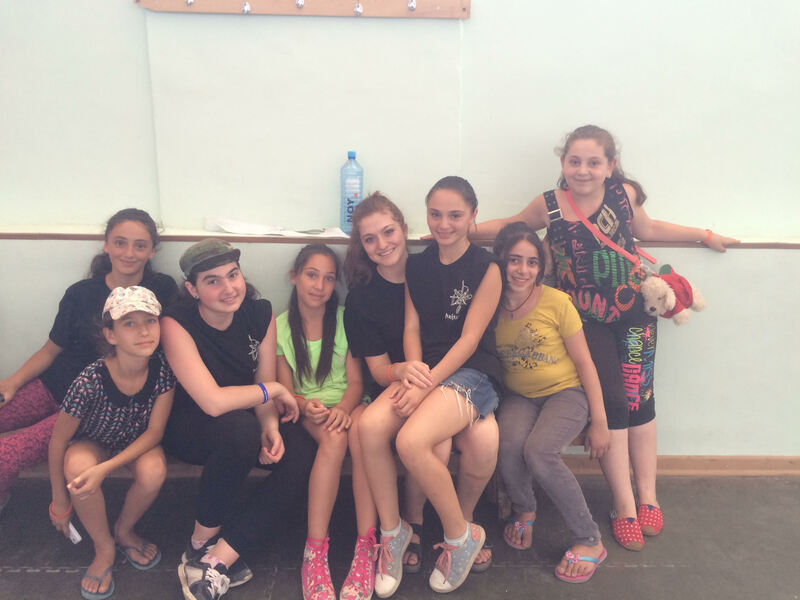 I thought I had come to Armenia to change lives, but they are changing mine. 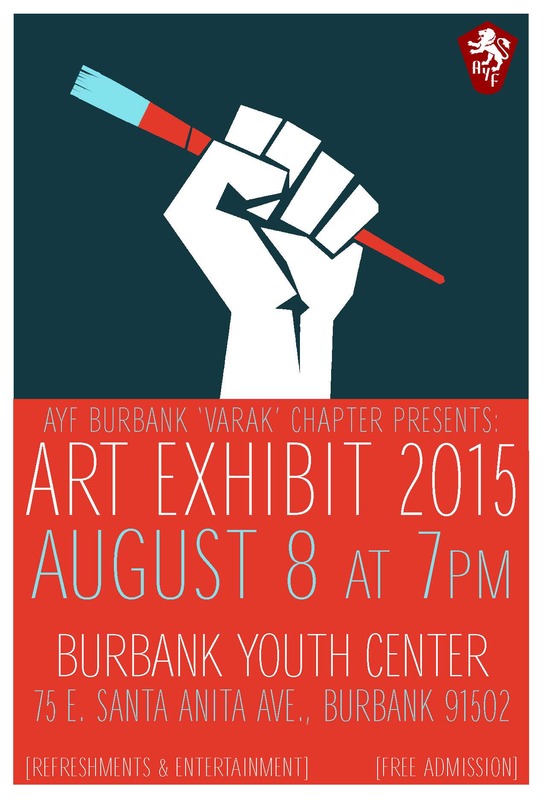 (BURBANK, Calif., July 22, 2015) – The Armenian Youth Federation – Burbank “Varak” Chapter is excited to announce its third annual art exhibition to be held on Saturday, August 8 at 7 pm at the ACF Burbank Youth Center, located at 75 East Santa Anita Ave in Burbank. (GLENDALE, Calif., June 18, 2015) – The Armenian Youth Federation will hold a demonstration on Saturday in front of the Azerbaijani consulate in Los Angeles amid the first European Games currently taking place in Baku, the Azerbaijani capital in order to call attention to the government’s continuous human rights violations.. Controversy has already surrounded the Baku games since its opening last Friday. Several news organizations, including the United Kingdom-based The Guardian newspaper and BBC, and international human rights organizations, like Amnesty International and Human Rights Watch, have been banned from entering the country. The government of Azerbaijan has also made repeated threats to start a war with neighboring Artsakh and Armenia, with intensities rising with each border scrimmage. The past year has also seen more reported casualties than any time after the cease-fire agreement of 1994. A number of news outlets, including CNN and Politico, have already written about the corruption in Baku and the immense limitations on the freedom of press. Singer Lady Gaga has also faced criticism after singing a cover of John Lennon’s “Imagine” at the opening ceremony of the games. She was reportedly paid $2 million to perform the single song. The demonstration is set to take place on Saturday, June 20, at 3 p.m. in front of the Azerbaijani consulate, located at 11766 Wilshire Blvd. in Los Angeles. 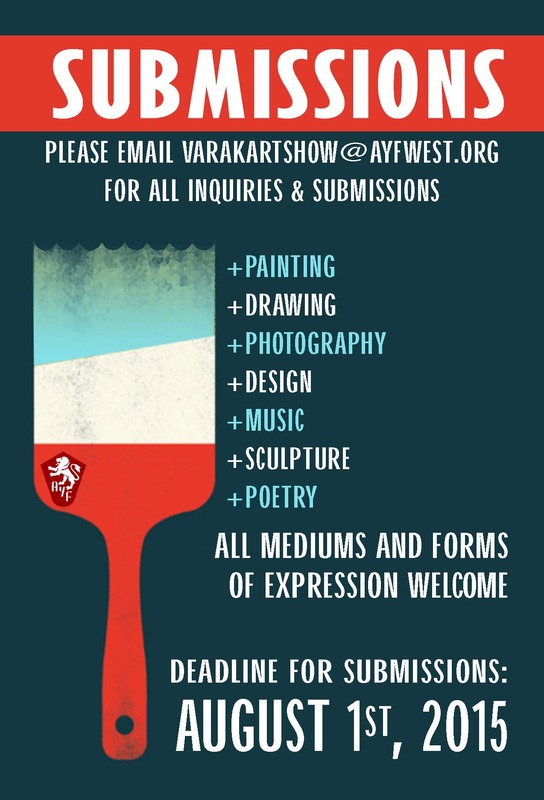 For more information, visit our social media pages (@ayfwest).